The Bells Are Ringing With A Paul Morelli Trunk Show! Posted on October 13, 2015 at 9:15 pm. Exquisite. Detailed. Precise. Those are the words that I think best sum up the jewelry of Paul Morelli. Every original design from Paul begins with an inspired idea that is culled from Paul’s rich imagination – after all – his parents were theater costume designers for many, many years. 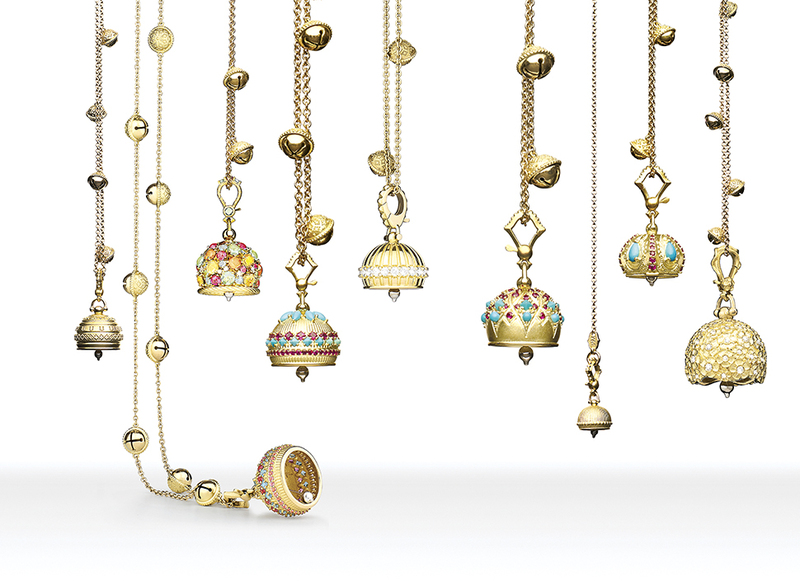 I am a huge fan on these bells — so pretty, so feminine and so unique. Having said that, I really could have posted just about any image of Paul’s work and told you that I’m a huge fan of all of it because it’s true. His collection is wide and varied, from the these “rain chain earrings” that first drew me in 9 years ago at a jewelry trade show in Philadelphia, to the “confetti” collection that I’d like to sprinkle all over my ears and fingers — and it’s all gorgeous and meticulous in its construction. We often joke in the store about Paul’s jewelry making our hearts beat a bit faster. I am very honored to have represented Paul’s jewelry for the last several years and can’t wait for our upcoming Paul Morelli trunk show on Friday, October 23 and Saturday, October 24.